Some Wyckoff luxury homes are so distinctive that they stubbornly resist fitting into any simple category. Whether due to unusual architecture or unique geographical features, such properties remain in a class of their own. But for most other homeowners preparing to sell their luxury homes in town this spring, some baseline features are close to must-haves. According to Morgan Brennan of Forbes.com, “It is almost a given,” that listed multimillion dollar properties will claim certain features. Top-of-class luxury homes almost always include a pool. In fact, many traditional homes now offer this feature as well (sometimes labeled a “luxury” addition). That being the case, the pools that appear in luxury home listings often sport a bonus feature or two. That may be a hot tub, waterfall, or other creative design element like infinity edges or outdoor bars and TVs— always attractively designed. Today’s Wyckoff luxury homes may not seem luxury enough without a richly appointed home theatre: one with the additional media features that take television and movie viewing to a new level. True home theatres come equipped with plush seating, multi-channel surround sound systems, or even (why not?) classic velvet curtains to part when the movie begins. Many luxury homes do not just have walk-in closets for the master bedroom—they may also include them throughout the house. Since their owners usually have extravagant budgets when it comes to shopping (right, Kim K.? ), you would hardly expect standard-sized wardrobe arrangements to suffice. Luxury homes in town may have closets equipped with complete dressing facilities, including full-length mirrors and individual powder rooms. These features are predictably popular with prospective buyers of area luxury homes, but the whole package also needs to be presented properly: savvy marketing remains the key to a successful sale. If you are poised to offer your own local home, contact me to discuss how a distinctive marketing plan can make yours one of this spring selling season’s success stories. Never mind what those TV get-rich-quick infomercials would have us believe: building long-term wealth requires focus and patience. Patience, because a steady growth is a more reliable strategy than flashier single investment ‘wins’ — and focus, because opportunities slip past when daily demands soak up all our attention. By setting up a self-directed IRA, you may be able to make investments through your existing savings. Such investments come out of your IRA, and the profits generated remain there and grow tax-free until you retire. There are limitations to this method of financing: don’t rely on this route until you have sought the advice of a qualified financial advisor or your tax attorney. For anyone 62 or older, an idea that is not often considered is the reverse mortgage. The object is to allow you to access equity from the property you currently own without having to sell it. Unlike a regular mortgage, the equity released need not be repaid until the mortgaged property is sold or the borrower dies; but it may be repaid with the interest accrued without penalty at any time. To be sure this or any of the other financing paths work to your advantage, you’ll need a sharp pencil — and guidance from a reliable licensed financial counselor. If you’ve already been thinking that the time is right to start or grow your investment portfolio through the purchase of real estate, contact me for hot leads on some of today’s best investment properties in town. 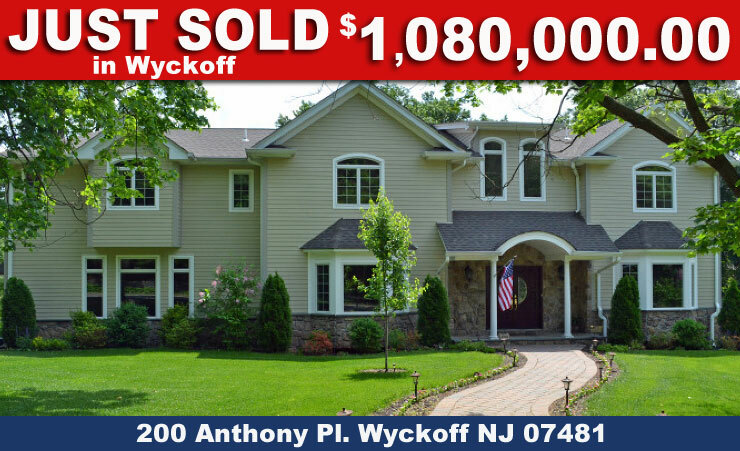 Will Prices on Wyckoff Homes for Sale Match 9.7% Rise? When real estate occupies most of your day (as it certainly does mine), you find yourself receiving no end of information. Some summarize points of view that are available elsewhere; some provide original information that isn’t particularly relevant to our local market. One piece that gets more than the usual quick-scan-then-into-the-recycle-bin treatment is the HPI Data Report. It comes in once each month from the demographers at CoreLogic ®. This group knows what they are talking about: among other things, they collect the most comprehensive property database in the U.S.
Holy smoke! Prices of homes for sale nationwide made the biggest year-over-year increase in seven years! Yikes! Year-over-year, even including distressed sales, prices of homes for sale jumped by an average 9.7% That’s just a whisker short of double-digits! Good golly! Those homes for sale price jumps were taking place everywhere — in 49 out of the 51 states (the only exceptions were Illinois and Delaware). One more exclamation! (I’ve run out): As if the trend direction isn’t already crystal clear, this represents the 11th consecutive monthly increase. As we prepare for our Wyckoff’s spring selling season, it’s noteworthy how much this year promises to be a notch up from even last year’s —already a noticeable improvement. If you have a property that is a good candidate to join this spring’s complement of Wyckoff homes for sale, now is a good time to give me a call. Rising prices mean that the buyers are out there! 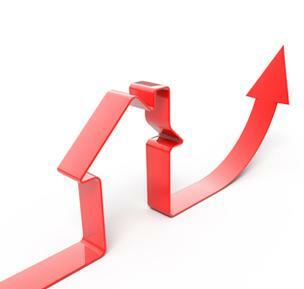 Sometimes home values can undergo abrupt changes. One way that can happen is through the ‘Surprise Remodel’ phenomenon. That’s when you wake up one morning to find that your Wyckoff house grew larger…overnight! If you are one of the many local residents whose children have left for school, the Surprise Remodel is what happened the moment you realized that that you were, in fact, suddenly in possession of an extra room. Transforming the former kid room into an exercise area is one foolproof way local home values can be increased. Remove carpeting and add flooring as needed; place a floor-to-wall mirror to one side; then add any exercise equipment you choose (garage sales can be excellent sources). Have you always wanted a dedicated home office? Now is the ideal time. Paint the room a rich neutral color, add the desk (freeing up space it used to occupy elsewhere), and then add bookshelves and a guest chair or sofa. Voila! In the likely event the kids will be back now and then, a subtler changeover to a universal guest room is a good answer. Memorabilia removal will go a long way toward accomplishing that goal, and home values always improve when fancier bedding and pillows are added to any room. Wyckoff home values may not seem important until you decide to put your own on the market, but I have often heard clients say they wish they had spruced up the place while they were still living there. Any Surprise Remodel moment is a perfect opportunity to do just that. Later, when the time comes to list, don’t forget to call me!